Tram No. 12, “Technické muzeum” stop. The entry is directly across from the tram stop. 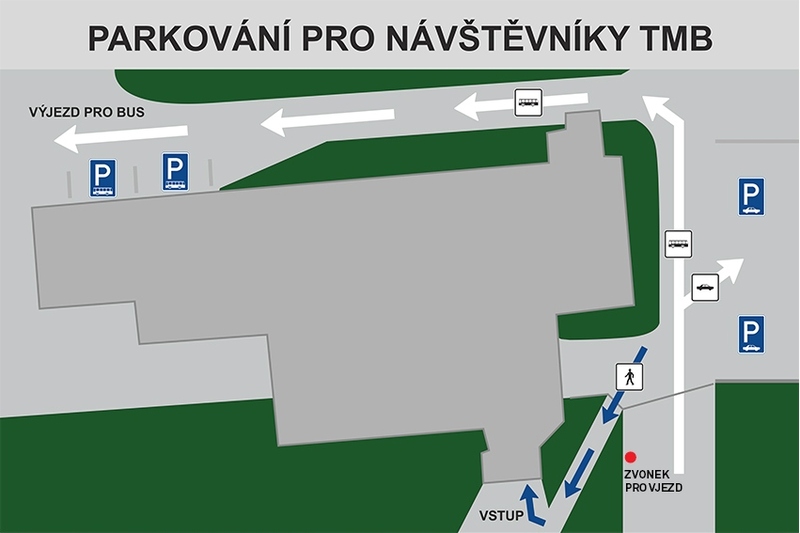 Visitors of the Technical Museum can park their cars on the secured parking lot. Entry to the area is controlled by the security personnel on the premises. To obtain access use the button on the orange gatepost on the left to call. We kindly ask visitors to observe all road signs and markings. Please note that parking spaces are limited.